Ask any Olathe landscape architect and they’ll tell you – watering your plants properly may be the most important part of keeping them healthy. Surprisingly, it takes a little more than continually giving them water to ensure they stay healthy and happy. Watering your plants is an art and science. Done properly – you’ll have lush, lovely plants that’ll leave all the neighbors green with envy. If you don’t water your plants properly, you’ll have flat, stubborn shrubbery that fails to live up to its lush potential. And for goodness sake – don’t drown them! Don’t water your plants all the time! You only need to water when your plants need it. If it’s been raining a lot, then stop watering so much. This doesn’t have to be rocket science. Too much water will hurt your plants. You’ll want to always water your plants first thing in the morning. Don’t let your plants sit outside in the sun dehydrated. If you forget to water in the morning, your greens will often look lifeless in the evening. Gone are the days of just dumping or spraying water on your plants. If you really want them to grow, then a soaker hose or drip irrigation system will work wonders. Always put a lot of focus on the root zone. The leaves don’t need watering. The roots do! You’re wasting water if you wet anything besides the root zone. You can also spread disease by watering the leaves. Make sure the water gets deep down to the plant’s roots. Certain plants like trees and shrubs can feature roots that are over a foot deep. So you’ll need a plan to ensure water reaches these roots in a timely manner. You should be mulching everything on your property – from trees to gardens and more. Mulch reduces surface runoff and can slow evaporation that stems from the soil. This means mulch will help plants get more water. 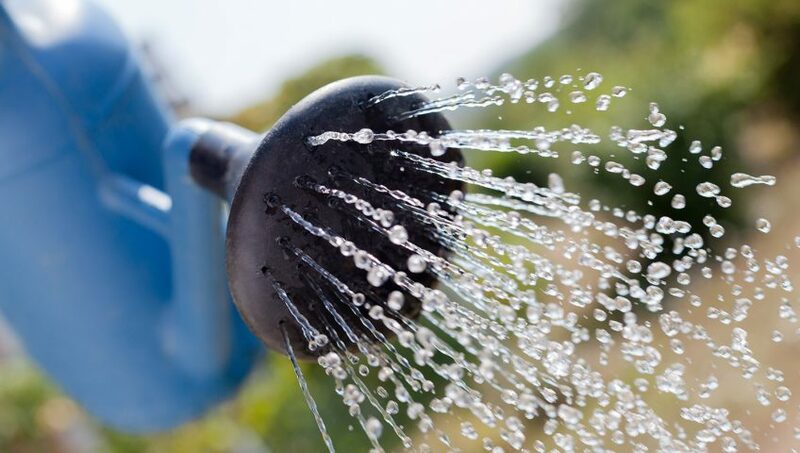 This article could be alternatively named, “A Beginner’s Guide to Watering Your Plants.” We didn’t go too deep with this piece. We didn’t reach all the way down into our Olathe landscape architects toolbar with this one. We just wanted you to correct a few small mistakes we see happening all too often. If you’re truly committed to keeping your lawn lush and your garden growing all year long (yes, even in the winter), then get in touch. At Huston Contracting, we specialize in providing the Olathe landscape architect services your lawn needs to succeed.